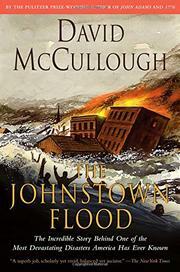 The Johnstown Flood was one of the greatest natural disasters of all time (actually manmade, since it was precipitated by a wealthy country club dam which had long been the source of justified misgivings). This then is a routine rundown of the catastrophe of May 31st, 1889, the biggest news story since Lincoln's murder in which thousands died. The most interesting incidental: a baby floated unharmed in its cradle for eighty miles.... Perhaps of local interest-but it lacks the Lord-ly touch.